Many of us love heading to McDonald’s, but what about if they get your order wrong? While it might not seem like a big deal at first, many vegetarians have been left scarred thanks to finding chicken in their veggie wraps. McDonald’s announced they had a new item hitting the menu for January 2019: a spicy veggie wrap. 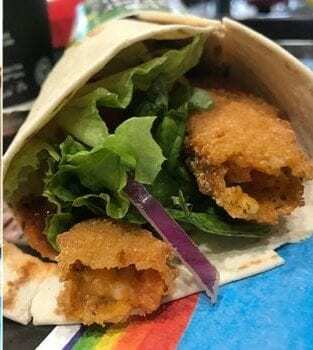 The wrap was supposed to be filled with a red pesto vegetarian goujon as opposed to the chicken option usually served up in the other wraps. However, it seems as though some stores missed the memo as people were in for a surprise after ordering the new item. It wasn’t long before hundreds of people from all across the U.K. began to complain about an unwanted addition in their vegetarian option: chicken. Yes, it turned out that their veggie option had been replaced with actual goujons – and they weren’t happy about the mistake. Many claimed they had been vegetarians their whole lives while others claimed they had been scarred by accidentally ingesting the food. The problem seemed to arise as soon as the wraps hit the market, but people were still finding chicken in their food weeks later. 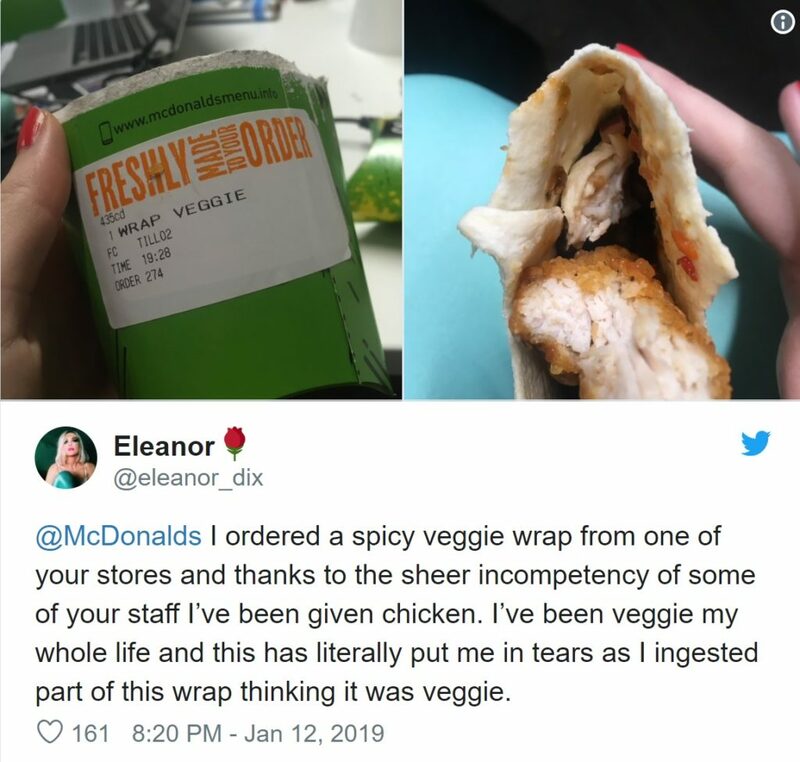 McDonald’s issued a statement explaining how they had put extra steps and measures in the way when preparing the veggie wraps to try and avoid any chicken mix-ups. However, the company stated it was disappointed to learn that mistakes were still being made after all this time. Some vegetarians and vegans worry that companies are trying to jump on the new trend that appears to be taking the world by storm. Although events such as Veganuary are raising the popularity of modern eating lifestyles, many are concerned that people are creating products to get involved with the trend rather than thinking about the consequences these mistakes could have on people’s lives and wellbeing. 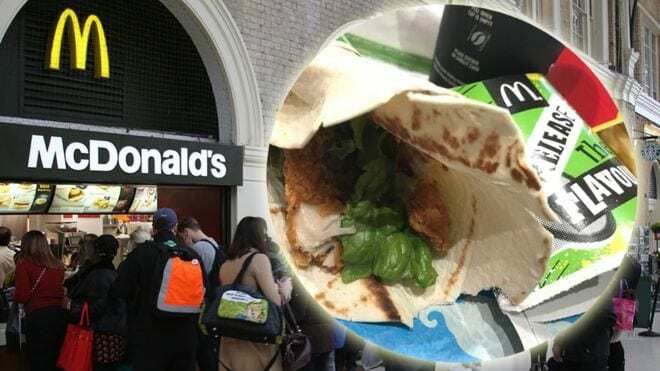 McDonald’s is one of the most recognized fast food chains around the world, but it seems as though they have a lot of making up to do if they want to earn the forgiveness of all the people accidentally eating meat in their veggie wraps.